We offer a wide variety of amenities to homeowners and guests within the 11 West complex such as Swimming pool, Tennis Courts, 3 Large docks with rental slips and fish cleaning stations, A secluded cove for fishing and roped off swim area and swim platform. We have 4 rental units available for your next vacation! 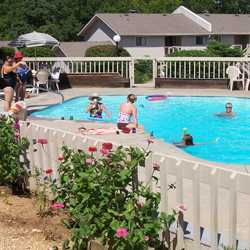 We offer a wide variety of amenities to make your stay at our vacation rentals more enjoyable. All linens are provided and for your convenience there is a full-size washer and dryer in each unit. This is a great location, with less traffic congestion, and offers easy access from both Kansas City and St. Louis. 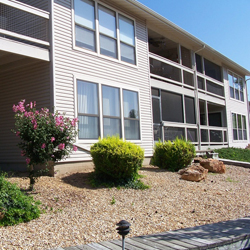 Shopping, amusements, golf and a wide variety of restaurants are all located just minutes away.The Condos are in the desirable Eleven West complex on the Lake of the Ozark's convenient West Side. Directions: Hwy 5 Sunrise Beach to "F" Rd to "TT", Or Business 54 to "MM" (toll Bridge Rd) to right on "TT' to Eleven West entrance.